In this free-to-play game you can get behind the wheel of 146 different officially licensed cars and race them across beautifully rendered racetracks. 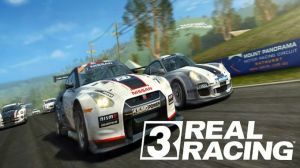 There are numerous game modes to choose from including standard races, time trials, and Time Shift Multiplayer. At the end of a race you will recieve repair bills which you need to take care of if you want to keep your car at optimal performance. There is also every day wear and tear that must be addressed at a service station. Car packs can be purchased at £13.99 each and will give you a handful of cars and a selection of associated races. Cars can also be individually purchased in-game, one of which costs almost £60. New content and racing events are added periodically.